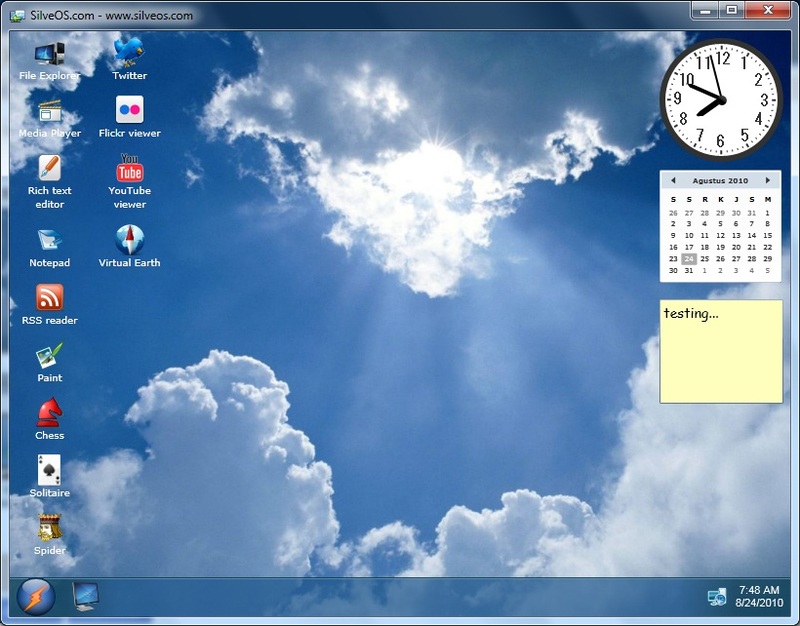 SilveOS.com or Silverlight operating system, is a website that simulates the operating system in a web browser. Previously named Windows4All which is located at Windows4All.com. SilveOS you can try at www.silveos.com. SilveOS created with Microsoft Silverlight technology. 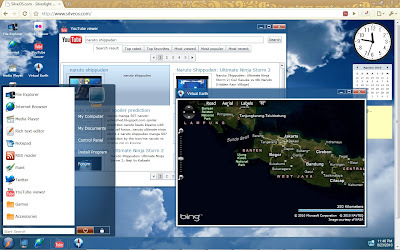 Inside SilveOS you can try some applications: Twitter Client, Game, Youtube Viewer, Internet Browser, Text Editor, Video Player, etc. 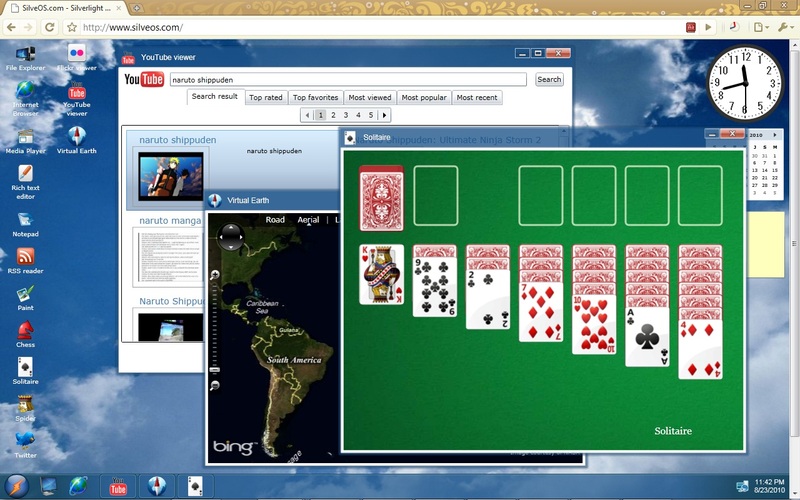 You can also install onto your computer so can be running outside the browser.